All natural gentle cleanser/makeup remover for all types of skin. Blended to help retain natural pH balance of the skin. Hydrating. Soothing. Regulating. Use: Apply to face and neck with fingertips work using circular upward strokes. Rinse with tepid water or with a moist warm cloth. 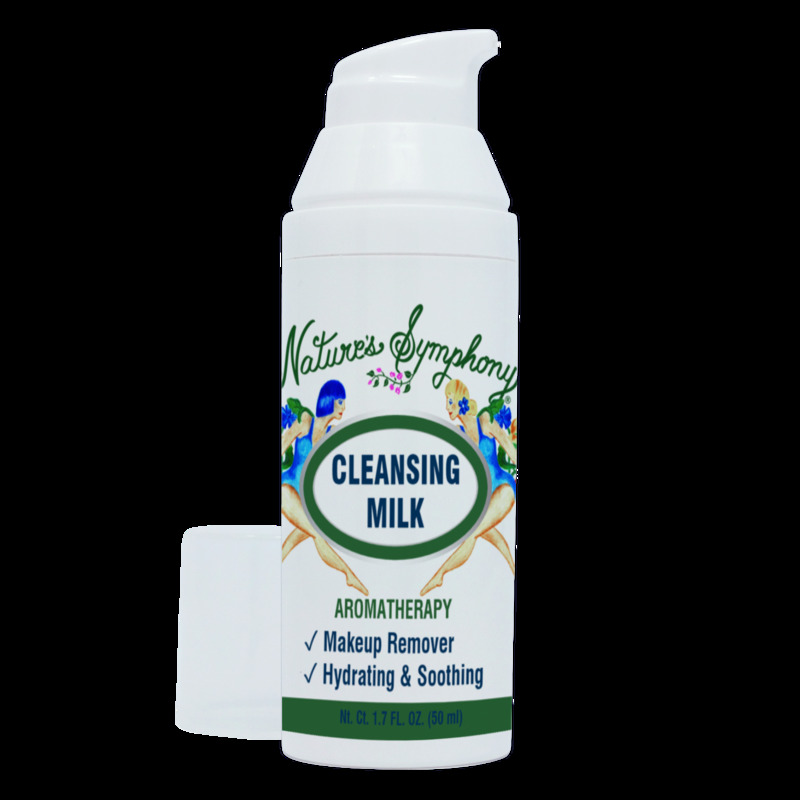 Follow with Natures Symphony Tonic Lotion or Hydrosol. Ingredients: Aloe vera, sunflower seed oil, rose water, glycerin, wheat germ oil, cocoglucoside, coconut alcohol, radish root, sucrose cocoate, lauryl glucoside, sclerotium gum, calophyllum seed oil, ginseng root extract, rosemary leaf extract, lecithin, p-anisc acid, xanthan gum, citric acid. Pure essential oils of lime, elemi, palmarosa, patchouli, and petitgrain from wild or organically grown plants.